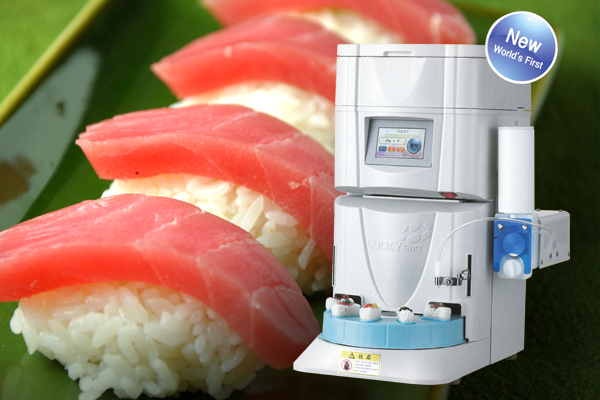 LS-380 produces an topping rice ball using the same method as people make a rice ball with their hands. LS-380 is a high-tech item with which you can minutely control the intensity rice compression, the density between grains of rice, the thermal temperature and the amount of sauce by touching the colored LCD panel. 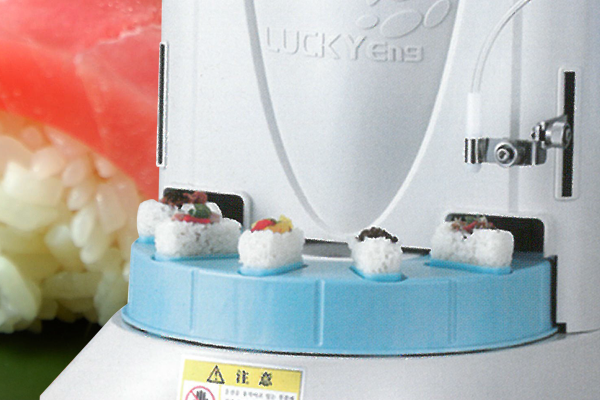 LS-380 produces the topping and rice all-in one. You can make diverse kinds of flavors according to consumer preference in any country.